CWA House is a 40 bed Aged Care facility which serves a growing rural community in Oakey west of Toowoomba. CWA House offers permanent and respite accommodation to aged persons across the Darling Downs. 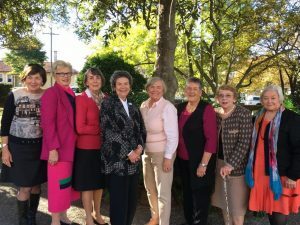 CWA House Oakey was managed by a local committee of the Queensland Country Women’s Association (QCWA) on behalf of the QCWA. After over 30 years of successful operations in Oakey the QCWA requested the local committee to consider searching for a suitable and experienced operator to take over the delivery of aged care services at CWA House. Community Business Australia assisted the CWA House management committee and QCWA through all aspects of the process. This involved the valuation of the facility and business operations, development and assessment of the Expressions of Interest (EOI), due diligence, legal and contractual processes and community consultation. Resulting in the successful sale of the facilities and business. “CWA House is a small stand alone residential aged care service in rural Queensland. Patrick and his team at CBA successfully managed the process of securing an experienced specialist regional provider for QCWA. His understanding and empathy with rural and remote services enabled us to work together to achieve a very positive benefit for our community”.